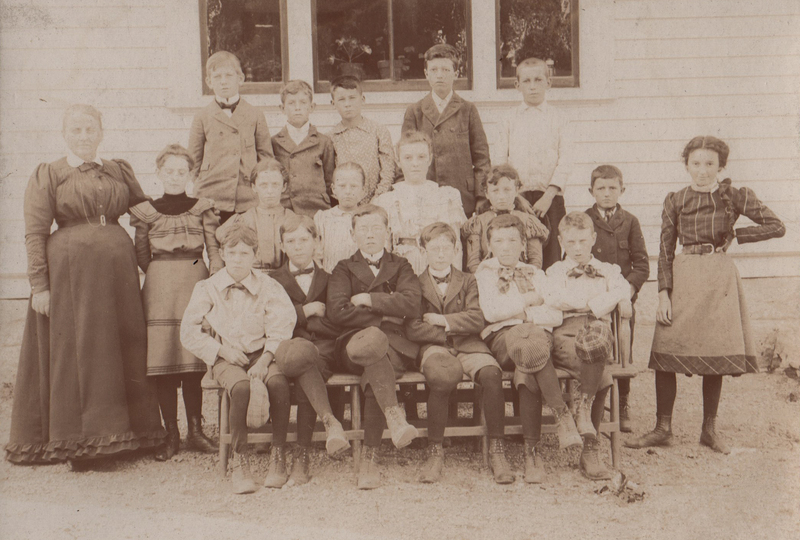 A faded photo of students outside the Old Main Street School. Unknown grade or year. New England Photo View Co., 126 Canal Street, Boston, Mass. New England Photo View Co.
New England Photo View Co., 126 Canal Street, Boston, Mass., “Old Main Street School Grade 6(?) 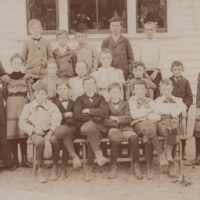 - ca 1890,” Maynard Historical Society Archives, accessed April 24, 2019, http://collection.maynardhistory.org/items/show/286.